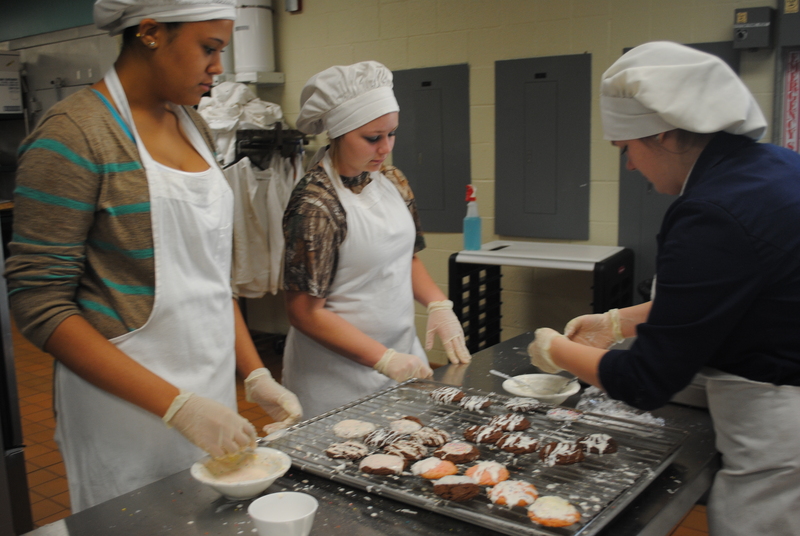 Culinary Arts students train in a culinary institute environment to prepare, present, and serve food to the public. 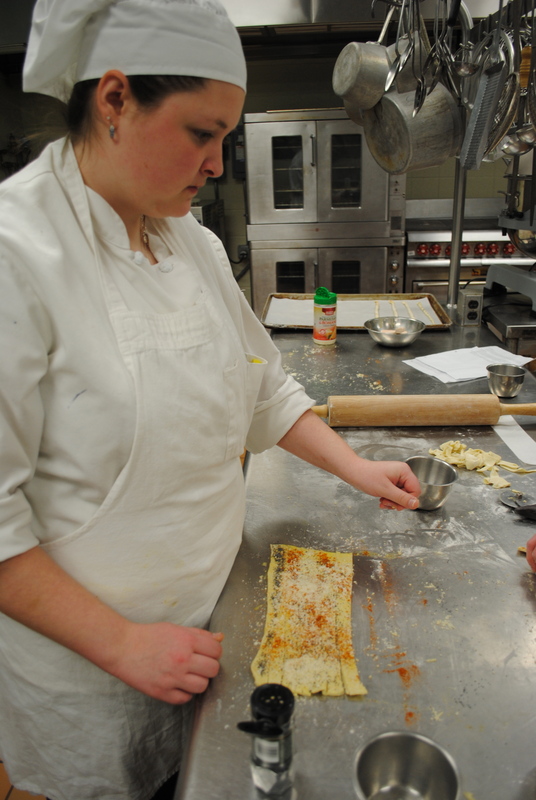 In this program, students learn all aspects of the food service industry. 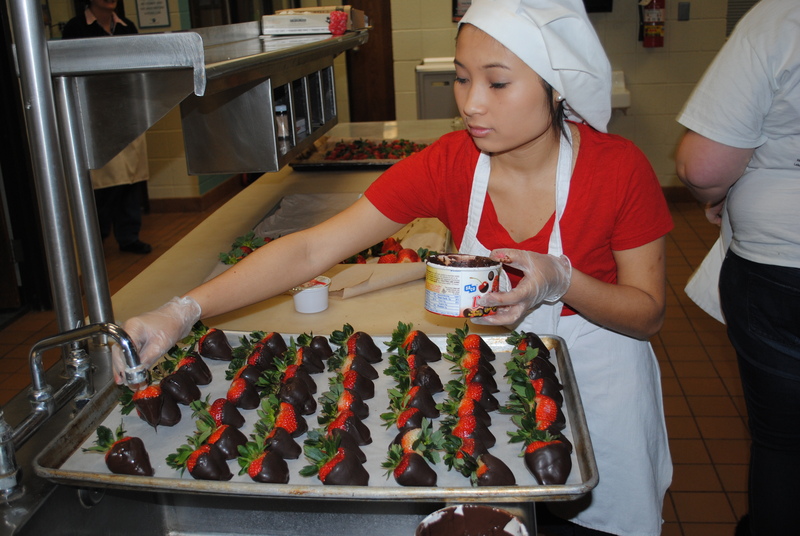 Students gain practical experience as they prepare menus and meals, and serve food for a number of Career Center functions. Students are encouraged to further their training at the post-secondary level. I have always loved to cook and want to be a chef and own a restaurant someday. The certification and the skills I have earned at PLCC have given me a great head start on my future goals. Chef Hannah brings over 30 years of Culinary expertise to the Career Center. She was most recently the Restaurant Management/Culinary Arts teacher at Kenmore High School. Prior to that she has an impressive resume that includes experience as the Executive Chef for Hannah’s Catering/Akron, Catering Chef at the Mustard Seed/Akron, Sous and Test Kitchen Chef at the West Point Market/Akron, Chef at Watership Down/Moreland Hills, and Chef de Partie/Cincinnati. Hannah received her Bachelor of Arts in Food Science from The University of Akron and her Career and Technical Teacher Certificate and Masters of Career & Technical Education from Kent State University. Shape your future. Enroll Today. Exercise your pride, responsibility, creativity and self-discipline. Apply today. Ready to shape your future? Enrollment is limited. Therefore, you are encouraged to apply early if you are interested in a specific program.